As President of Murphy Desmond S.C., attorney Ginger Zimmerman is responsible for strategic planning, management, growth and development of the firm, in addition to representing her clients. Ginger's legal practice combines her experience in business, real estate, bankruptcy, secured transactions, agricultural and commercial transactions, loan transactions, and litigation. 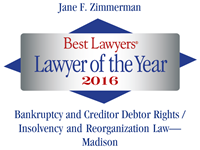 She represents creditors, debtors, receivers and Trustees in bankruptcies, collections, foreclosures, reorganizations, liquidations and Wisconsin Chapter 128 proceedings. Ginger also represents purchasers, sellers, landlords and tenants of commercial and agricultural real estate. Her background in commercial and agricultural law is particularly helpful in structuring and negotiating financing for new businesses, refinancings, business acquisitions, expansions, reorganizations, and succession plans. Her practice includes representing borrowers, guarantors and lenders in commercial and agricultural loan transactions. In the area of business start-ups, Ginger assists entrepreneurs with entity formation, governance, contracts, real estate and financing. Her experience in working with creditors and debtors in collections, bankruptcies and business reorganizations gives Ginger a unique perspective in helping owners avoid financial pitfalls of starting and operating a business. Since joining the firm in 1992, Ginger has served in leadership roles including Chair of the firm's Board of Directors, Managing Shareholder, and Practice Group Leader for the Creditors' Rights, Business Bankruptcy and Commercial Litigation Practice Group. 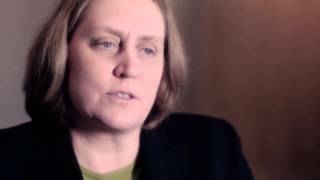 She currently serves on the board of the Bankruptcy, Insolvency & Creditors' Rights Section of the State Bar of Wisconsin. 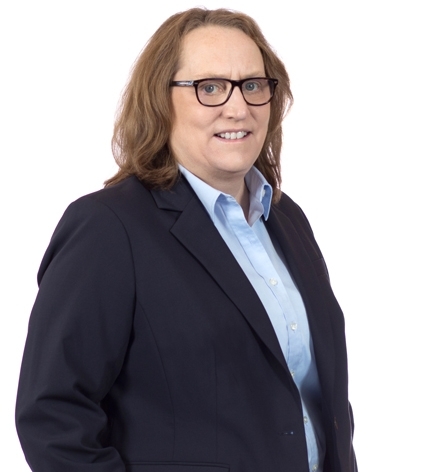 Ginger was named "Madison Lawyer of the Year - Bankruptcy and Creditor-Debtor Rights/Insolvency and Reorganization Law" in 2018 and 2016 by Best Lawyers in America, has been consistently included on lists for Best Lawyers (in three practice areas) and Wisconsin Super Lawyers, is rated AV (top rating) by Martindale-Hubbell and Lawyers.com, and 10.0 "Superb" on Avvo.com. Ginger was honored by the Wisconsin Law Journal as a "Women in the Law" for her work in the legal field and her support and encouragement of female attorneys in their careers. Based in Murphy Desmond's Madison office, Ginger is also available by appointment in the firm's Appleton and Janesville offices. University of Wisconsin, Madison, Wisconsin, 1985, J.D. Georgetown University, Washington, District of Columbia, 1982, B.S.B.A.